EXTREMELY RARE!!!!! Hardtop, soft top, 2 owner, same owner for last 32 years, the previous owner was a Judge in Memphis, TN. Production date 7-1-65. Delivered to Davies Chevrolet in Glendora, CA. 396/425HP, T.I Ignition, factory side exhaust, knock off wheels, M41 Suspensions only 975 made with suspension!!!!!!!!!!! Complete original car. 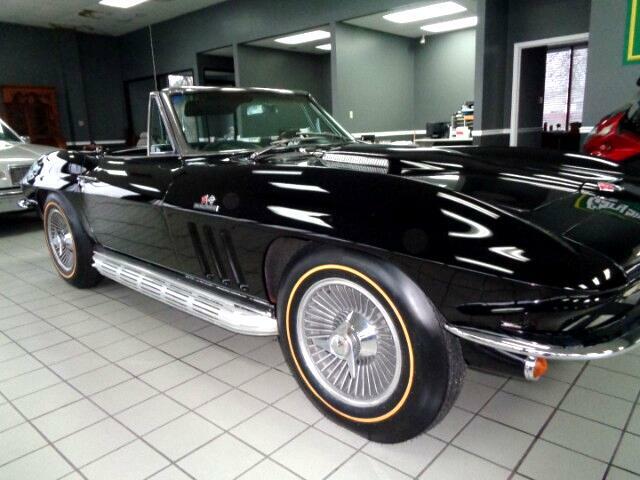 Probably the nicest original 65 in the USA!